Welcome to Lumottu Finnish Lapphunds. Lumottu is a small kennel situated just outside of Melbourne. Lumottu is the Finnish word for "enchanted" and that is what sums up a Finnish Lapphund for me - enchanting. I fell in love with the breed in 2009 and have since added two lappies to my household. Along with my dogs, I enjoy my weekends attending confirmation shows as well as obedience classes. 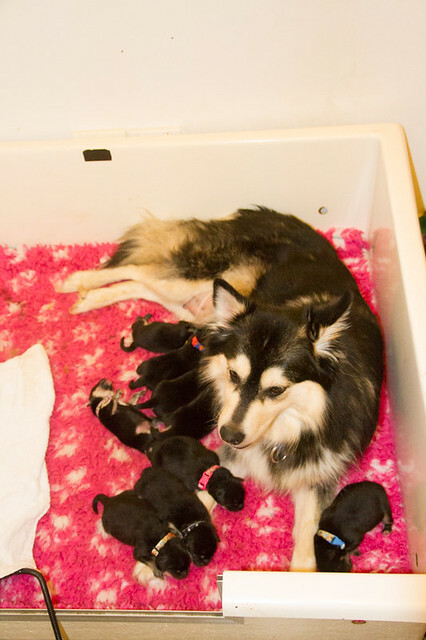 We were proud to welcome into the world on the 9th of may the Lumottu Awe litter. The litter is between our girl Alera (Ch Janoby Ever so Wild) and boy Ukko (Ch A is for Awesome). All up there were 9 puppies born. 5 girls and 4 boys all black and tan in markings.